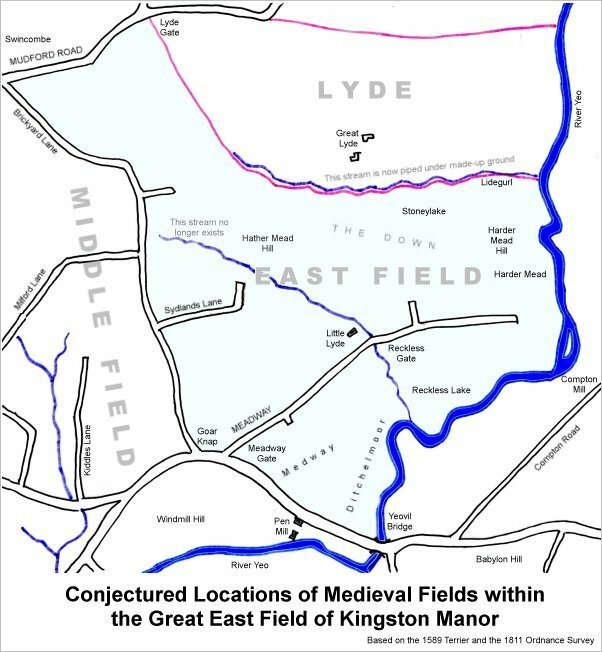 While Higher Lyde (Parcel 951), Lower Lyde (Parcel 952) and Higher Loydes (Parcel 950) to their north, are not shown on Philip Byles map of Lyde of 1653 it is most likely that, being immediately to the east, they were included within the Domesday Manor of Lyde and may have been instrumental in the original name since one of the two tributaries at the head of Lyde stream (now piped underground) lay at the junction of the three fields. It is also probable that the three fields were originally one larger manorial sub-field. Higher and Lower Lyde were also recorded (see Gallery) as Higher and Lower Lydes. In 1836, as advertised in the 13 June edition of the Western Flying Post Higher and Lower Lydes were auctioned, together with Barehill. 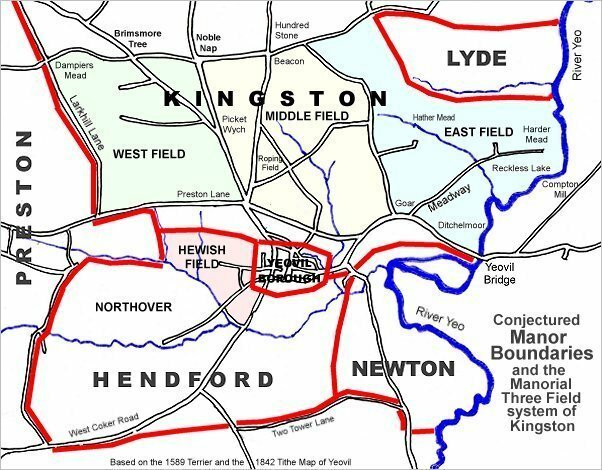 The owner was John Newman of Kingston. 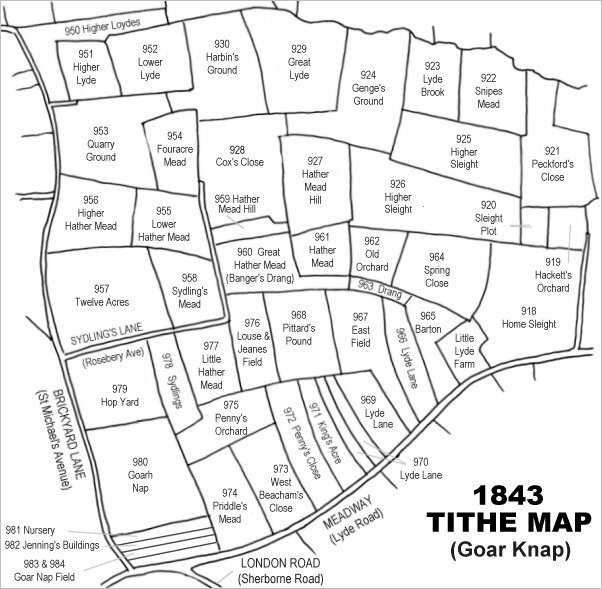 At the time of the 1846 Tithe Apportionment both Higher Lyde and Lower Lyde were owned by Robert Cayme and let to Thomas Horsey. Both were used as pasture for grazing livestock with Higher Lyde measuring 2a 3r 15p and Lower Lyde measuring 5a 0r 19p. In August 1850 both Higher Lyde and Lower Lyde were sold by auction (see Gallery). 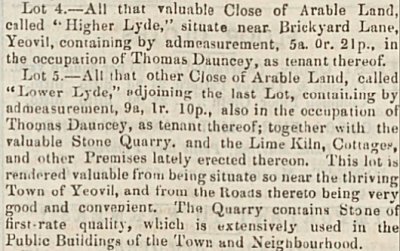 Lower Lyde, at this time with Thomas Dauncey as tenant, had a "valuable Stone Quarry, and the Lime Kiln, Cottages and other Premises lately erected thereon". Higher Lyde lay to the west of Lower Lyde and both were bounded on the north by Higher Loydes and to the south by Quarry Ground (Parcel 953). Lower Lyde was bounded to the east by Harbin's Ground (Parcel 930). 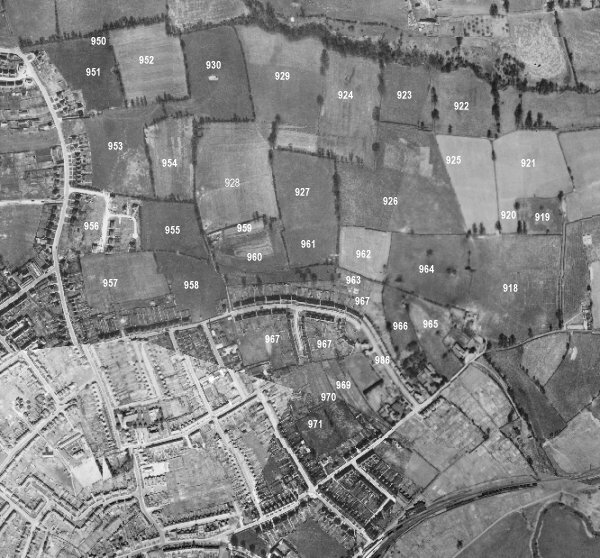 By the time of the 1946 aerial photograph seen below, that part of Higher Loydes running east had been absorbed into Higher Lyde and Lower Lyde, both of which remained fields at this time (with no visible signs of Lower Lyde's former quarry or cottages). Today Higher Lyde contains the north-south stretch at the western end of St John's Road as well as the Manse development off St John's Road to the west. Lower Lyde contains houses on the eastern side of the sharp bend in St John's Road as well as the whole of the southern spur of Northbrook Road. Drawn from the 1846 Tithe Map with field names added from the 1846 Tithe Apportionment, with Higher Lyde (Parcel 951) and Lower Lyde (Parcel 952) at top left. The 1946 aerial survey photograph (somewhat mis-aligned at bottom left) with parcel numbers of 1846 plotted on. 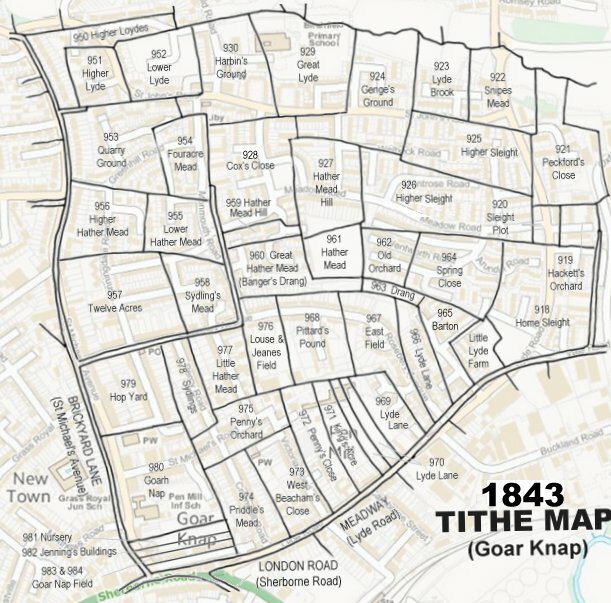 The 1843 Tithe Map overlaid onto a modern map of the area. 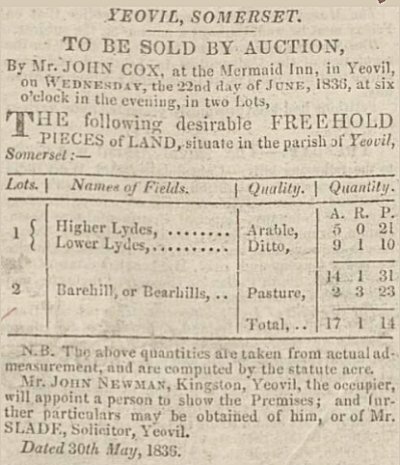 Notice of sale of Higher Lydes and Lower Lydes, together with Barehill, in the 13 June 1836 edition of the Western Flying Post. Part of a notice of sale from the 20 August 1850 edition of the Western Flying Post for Higher Lyde and Lower Lyde. Note that by this time Lower Lyde was being used as a quarry with a lime kiln and cottages on it.